Founded by Peter Bignell, a man often described as a Da Vinci of distilling (well, he definitely is now), Belgrove Distillery is located just outside Kempton in the southern Midlands of Tasmania. DIY, organic and hand-made sums up Belgrove’s vibe, with Pete quite literally crafting everything from the ground up, including the stills, barrels, biodiesel (made from left-over chip oil from the local take-away and used to power the stills) and of course the grain used in the whisky itself. The grain is where Belgrove really makes its point of difference from all the other Tasmanian distillers. Why use boring old barley when you can use rye instead, organically grown on-site? After growing a bumper crop of the stuff on the farm in 2008 (a favourite grain of the Canadian distillers but not used in Tassie), Pete was apparently inspired to turn it into whisky. Being a extraordinarily talented and driven individual, one thing led to another and here we are today. 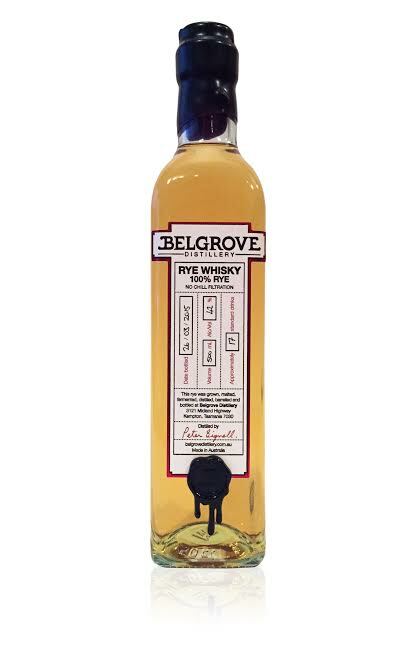 Belgrove now produces a number of different 100% rye drops, including white rye, black rye, peated rye and of course, the subject of this review, the brown rye. The nose of the brown rye is dark and fruity, full of ripe apple, plum and apricot. It rather reminds me of the scent of the bowl of home-made preserved stewed fruit my grandma always used to keep in her kitchen cupboard, a very fond memory. Alongside the fruit is rose petals, custard and an undertone of dull metal, like drinking from a rough copper mug. The taste is quite different to the flavour complex produced by the nose. Although its body initially starts off fruity, it immediately transmogrifies into deep earthy, ashy flavours, like smouldering rye stubble in a paddock or curling incense smoke in a gypsy tent. The finish is slightly bitter and astringent but very satisfying, like having a cup of black tea after a sweet dessert. 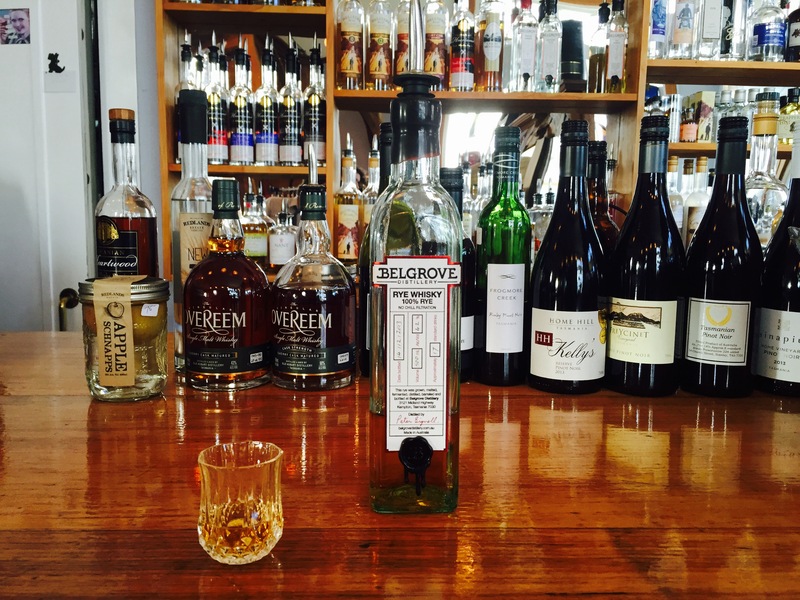 Everything you thought you knew about Tasmanian whisky goes out the window when you try the Belgrove brown rye. It’s like learning to drink whisky all over again, an exciting time full of power and emotion. It is a spirit that resonates powerfully with the creative, hands-on ethos of its maker. If you want to try something different, yet still uniquely Tasmanian, then the rye of Belgrove awaits you. Tasmanian whisky: One state. Three ingredients. Unlimited flavour.